Final Cruise of the Season to Spectacle Island! On Saturday October 24th more than 250 people from Greater Boston visited Spectacle Island on our last fall cruise of the season! Participants spent the chilly autumn day exploring Spectacle Island with Save the Harbor’s staff and interns and sharing stories with Save the Harbor’s Humanities Scholar Norah Dooley as Mary Read the Pirate. Dooley helped the group get into the Halloween spirit by sharing haunting stories about the “Lady in Red” and the better known “Lady in Black” and encouraging island visitors to hone their own storytelling skills by sharing some of their own stories as well. 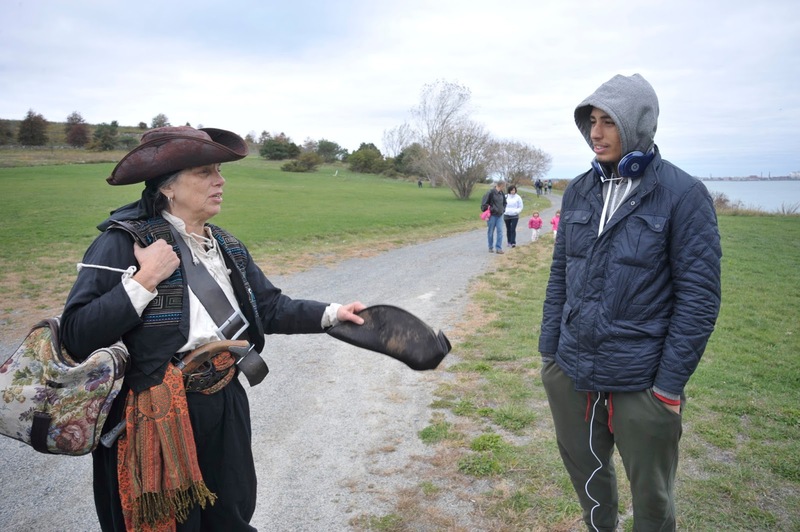 21 people from Maverick Landing in East Boston set sail on Saturday for Spectacle Island. Despite the chilly weather, it was a great day to fly a kite, enjoy a picnic lunch, take a hike to the top of a drumlin to see the city, or simply search for treasure and blue marbles on the beach, as part of Save the Harbor and JetBlue’s “Simply Marble-ous” Treasure Hunt. 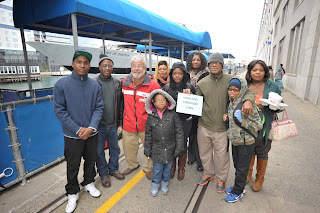 Save the Harbor's free youth environmental education and family programs are made possible with Leadership Grants from Bay State Cruise Company, The Boston Foundation, The Coca-Cola Foundation and Distrigas/GDF SUEZ. Save the Harbor is grateful for Partnership Grants from Forrest Berkley & Marcie Tyre Berkley, Blue Cross Blue Shield of Massachusetts, Boston Properties – Atlantic Wharf, The Chiofaro Company, The Clowes Fund, Marion L. Decrow Memorial Foundation, Alice Willard Dorr Foundation, Eastern Salt Company Inc., The Fallon Company, Hampshire House Corporation – Cheers for Children, John Hancock Financial Services, Inc., Mass Humanities, Massachusetts Bay Lines, Massachusetts Port Authority, National Grid Foundation, P&G Gillette, William E & Bertha E. Schrafft Charitable Trust, Vertex and Mark Wahlberg Youth Foundation. Save the Harbor also appreciates funding support from 3A Marine Service, Arbella Insurance Group Charitable Foundation, Andus Baker & Rowan Murphy Family Fund, Bay State Federal Savings Charitable Foundation, Blue Hills Bank Pavilion, BOMA Boston, Boston Bruins Foundation, Boston Global Investors, Breckinridge Capital Advisors, Andrew J. Calamare, Camp Harbor View Foundation, Carnival Foundation, Circle Furniture, Cresset Management, LLC, The Daily Catch Seaport, Eastern Bank Charitable Foundation, Paul & Phyllis Fireman Charitable Foundation, Thomas & Lucinda Foley, Legal Sea Foods, Ms. Wallace M. Leonard Foundation, Mass Bay Credit Union, HYM Investment Group Inc., Sherry & Alan Leventhal Family Foundation, Lovett-Woodsum Foundation, Massachusetts Water Resources Authority, National Park Service, Nicholson Foundation, Randy Peeler & Kate Kellogg, Reebok Foundation, Rockland Trust – Peoples Federal Foundation, Lawrence J. & Anne Rubenstein Foundation, Senior Housing Property Trust, Skanska, South Boston Community Development Foundation, Spectra Energy, South Boston Community Development Foundation, Storm Duds, Matthew J. & Gilda F. Strazzula Foundation, TD Bank Charitable Foundation, Tishman Speyer, UDR, and Kyle & Sara Warwick. Special thanks to the hundreds of individual donors and to our partners at the Department of Conservation and Recreation, the Metropolitan Beaches Commission, the Boston Centers for Youth and Families and the YMCA of Greater Boston for their support. For more information about Save the Harbor/Save the Bay and the work we do to restore, protect and share Boston Harbor, the harbor islands and the metropolitan region’s public beaches, visit our website at www.savetheharbor.org and follow savetheharbor on Facebook and Twitter. 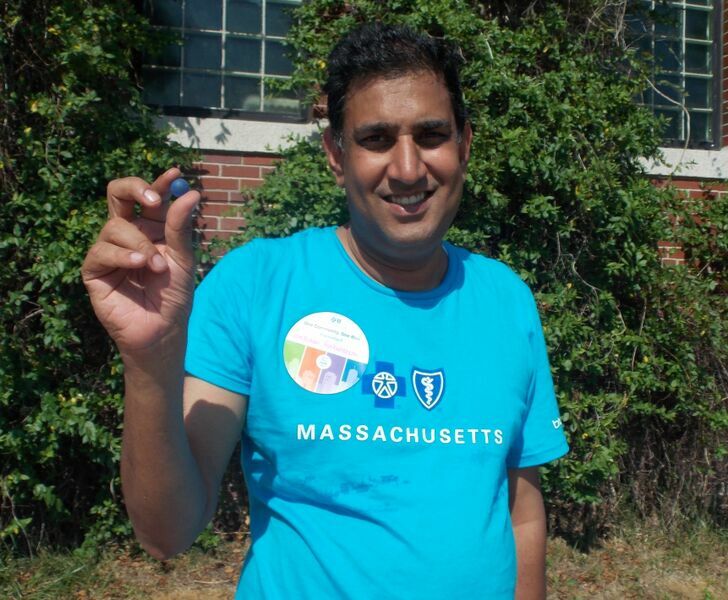 On September 16, Siva Venkataraman of Walpole found a blue marble on the beach while taking part in the Blue Cross /Blue Shield of Massachusetts Annual Service Day at DCR’s Carson Beach in South Boston. 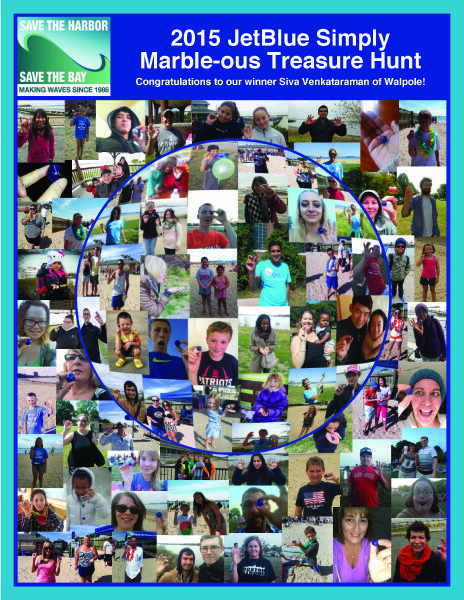 Siva Venkataraman of Walpole found a blue marble on the beach in South Boston and won a pair of round trip flights from JetBlue in Save the Harbor’s “Simply Marble-ous” Treasure Hunt. 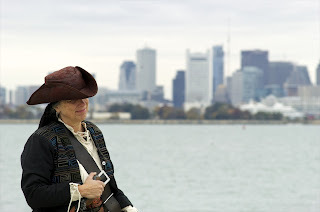 Take a minute and enjoy this short video starring the 2015 treasure hunters. 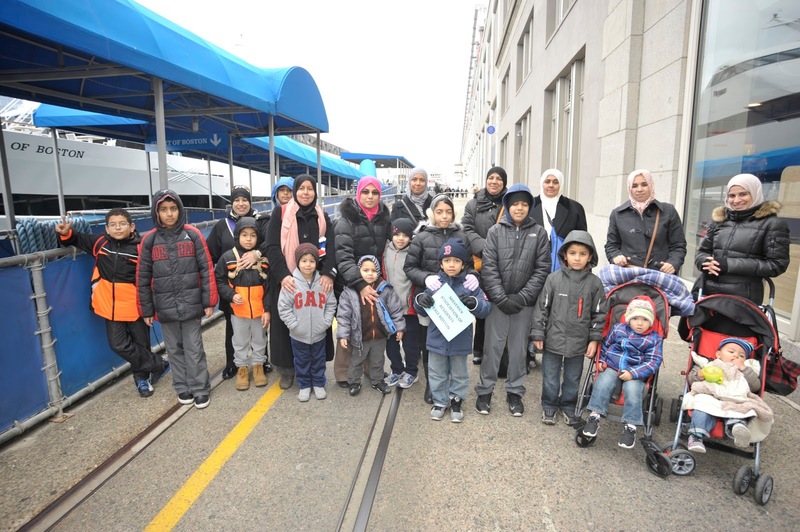 The JetBlue “Simply Marble-ous” Treasure Hunt began in 2012 on the beaches of South Boston with a beach clean up sponsored by JetBlue in partnership Save the Harbor. In just a few short hours, more than 100 people did 5 weeks worth of work cleaning up the beaches. At the end of the day, the participants released blue marbles on the beach for Boston beach-goers to find. 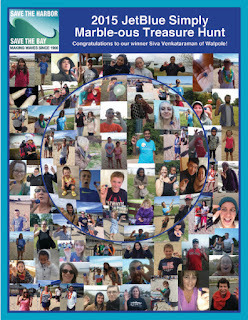 This year more than 100 people found marbles on the beach, while scores more bought a “Virtual Marble” online to share in the fun and support Save the Harbor’s free youth and beach programs, which served more than 25,000 youth and teens to Boston Harbor and the harbor islands in 2015. 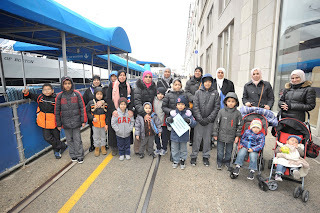 For more information about the “Simply Marble-ous Treasure Hunt” and all the great work Save the Harbor does, visit their blog “Sea, Sand & Sky” and follow savetheharbor on Facebook and Twitter. Metropolitan Beaches Commission Co-Chairs Senator Tom McGee of Lynn, Rep. RoseLee Vincent of Revere and Department of Conservation and Recreation Commissioner Carol Sanchez at a recent MBC meeting at the State House. Metropolitan Beaches Commission Co-Chairs Senator Tom McGee of Lynn and Rep. RoseLee Vincent of Revere announced Tuesday that the Commission will hold a series of regional public hearings on the state of the Metropolitan Region’s public beaches from Nahant to Nantasket. 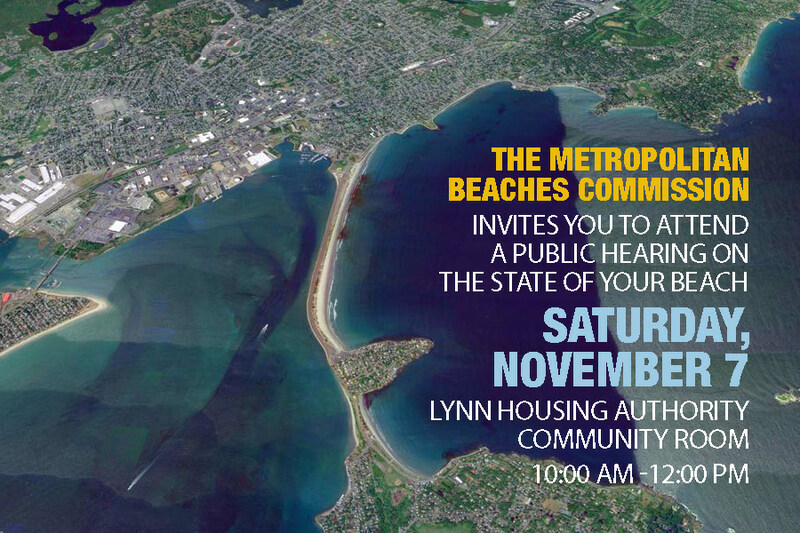 The first public hearing will focus on beaches in Lynn and Nahant and will be held on Saturday morning, November 7th from 10:00 am to noon at the Lynn Housing Authority and Neighborhood Development Community Room, 10 Church Street, Lynn. Metropolitan Beaches Commission Co-Chair Senator Thomas McGee of Lynn, who has served on the Commission since its inception in 2007, and Co-Chair RoseLee Vincent of Revere will host the hearing. Commissioners Rep. Brendan P. Crighton of Lynn, Robert Tucker of the Friends of Lynn and Nahant Beach and newly appointed Commissioners Rep. Donald Wong of Saugus, Nahant Town Administrator Jeffrey Chelgren as well as other Commissioners from waterfront neighborhoods and beachfront communities from Nahant to Nantasket are expected to attend. 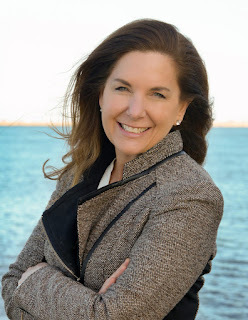 About the Metropolitan Beaches CommissionThe Metropolitan Beaches Commission is comprised of elected officials and community, civic, nonprofit, and business leaders from Boston and the metropolitan region’s waterfront neighborhoods and beachfront communities. The MBC was created in 2006 by the Massachusetts Legislature to take an in-depth look at the metropolitan region’s public beaches in Nahant, Lynn, Revere, Winthrop, East Boston, South Boston, Dorchester, Quincy and Hull that are managed by the Department of Conservation and Recreation. The Commission reconvened in 2013 to examine the impacts of the reforms and recommendations made in its first report “Beaches We Can Be Proud Of” and issued additional findings and recommendations to better leverage these resources for residents in the future in their 2014 report “Waves of Change”. Today the MBC is a permanent Commission, which reports annually to the House and the Senate.